Augmented reality is here, except it's incredibly expensive and offers limited use for most regular people. DreamWorld wants to help solve that by bringing down the price while still providing some really good AR fun. Its attempt at doing that is the DreamGlass AR headset. It's got a 90-degree field of view with a resolution of 2.5K. There's also 3DoF head tracking and hand gesture recognition, so you can partially interact with your new augmented world. The DreamGlass isn't standalone though, it connects to either your PC or phone via a USB-C connector (sorry, iPhone users). A select amount of smartphones can even be used as external displays, letting you use your phone's touchscreen to mess around with all that AR goodness. For developers, DreamGlass' SDK is supported by both Unity and Android, so you'll be able to create apps and games for both. Plus, because Unity and Android are already used for AR apps, you're making stuff for an even larger audience than DreamGlass users. Win win. The biggest selling point here is the price: the DreamGlass comes in at $399. That's far less than some of the other big AR headsets, like the Vuzix Blade, which will come in around $1,000. 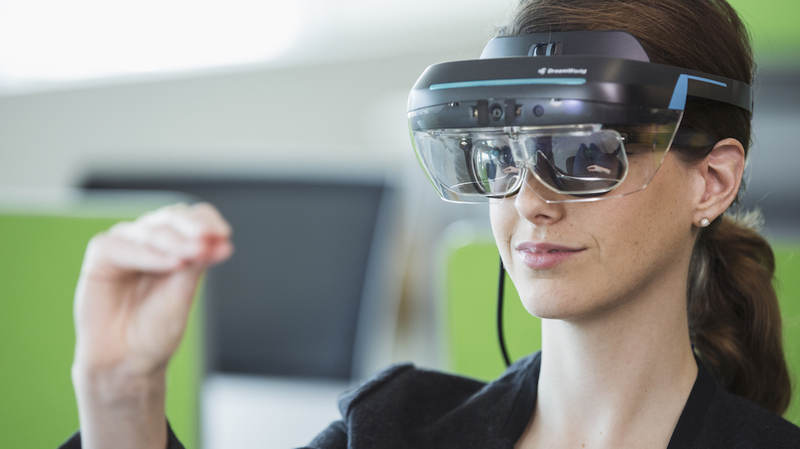 However, the DreamGlass looks a bit more like a HoloLens than a pair of smartglasses you'll be nipping out to the shops wearing. Regardless, DreamWorld just wants to make high-end augmented reality affordable to more developers and users, and the DreamGlass is a swing at that. We'll have to wait and see whether the quality is up to par, but should DreamWorld be able to deliver, it could have something decent on its hands (and on our faces). You can pre-order the DreamGlass now on DreamWorld's website, the first batch of devices will head out to developers by the end of June.